Santa Cruz, California, USA – After seven years of strategic leadership and organizational growth, Bill Waldman, Island Conservation’s CEO, has announced his retirement. Newly appointed Board Chair, Angus Parker, a long-time Island Conservation ambassador and advocate, along with outgoing Chair David Hartwell, and the rest of the Board have commenced a search for Bill’s successor. 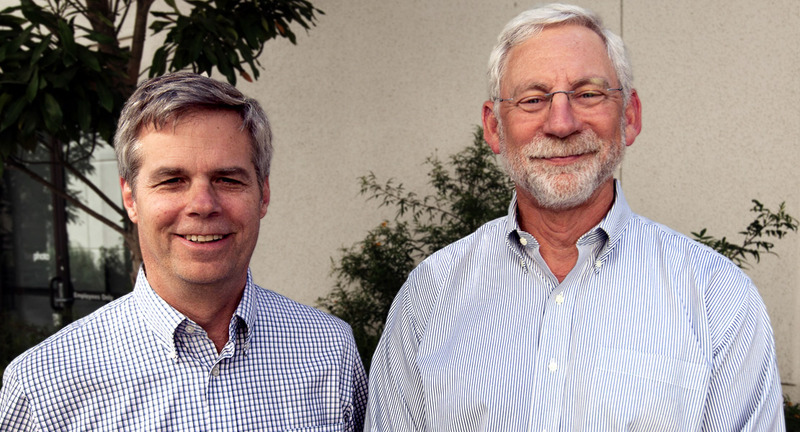 Outgoing Board Chair David Hartwell (left) with CEO Bill Waldman (right). Waldman, who took the helm of Island Conservation in 2008 and recently announced his intentions to retire mid-2016, led the organization through a period of transformative growth. Shepherding an annual budget increase from $2.1M (2007) to $5.5M (2015) and full-time staff expansion from 15 to 37, Island Conservation matured from a regional organization to a global organization with a reputation to match. Along the way, under Bill’s seven years of leadership, the organization saved 54 threatened species on 20 islands from extinction including the formerly Extinct-in-the-Wild Pinzón Giant Tortoise in the Galapagos. Working only in Mexico and the US seven years ago, today Island Conservation’s reach includes six continents, with operations in seven countries and projects in development for six additional nations by 2019. 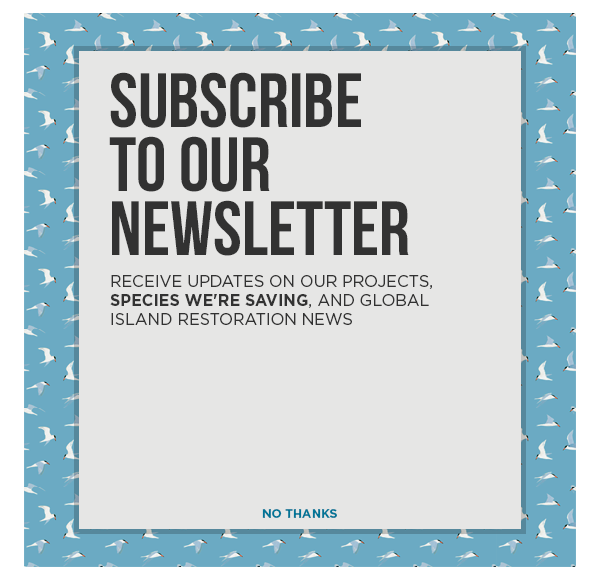 Bill’s partners in this organizational development include outgoing Board Chair, David Hartwell, who added, “We are perfectly positioned for another leap forward in our capacity to complete island invasive species removals. I’m eager to continue to help Island Conservation find a new leader who meets that challenge and builds on this foundation of incredible success.” Hartwell is beginning his third, three-year term on the board as he passes the gavel of Board Chair to Angus Parker. One of the many species benefiting from island restoration projects under Bill Waldman’s leadership. In 2008, Island Conservation, the USFWS, and The Nature Conservancy removed invasive rats from Hawadax (formerly Rat) Island, Alaska to restore native seabird colonies. 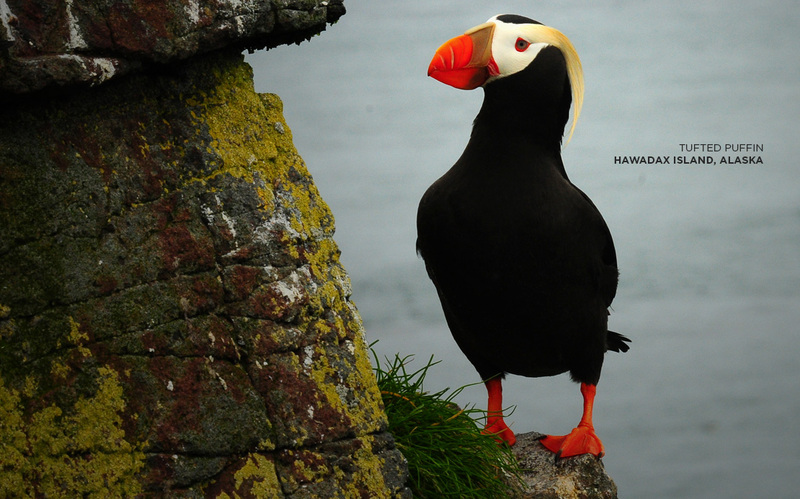 In 2013, researchers documented Tufted Puffins breeding on the island for the first time ever recorded. All signs point to Hawadax Island as being on a trajectory for recovery. Isaacson, Miller is managing the effort to recruit CEO candidates for the board’s consideration. The position may be based in the Santa Cruz, CA headquarters, nearby in San Francisco, or in the greater Bay Area. The recruitment notice is on their website and on Island Conservation’s website. Applications should include a CV or resume and 1-3 page letter of interest. Island Conservation is committed to equal opportunity and welcomes and encourages a diverse pool of candidates in this search.